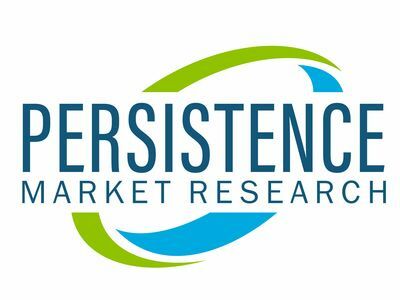 NEW YORK, April 4, 2019 /PRNewswire/ -- According to a new report published by Persistence Market Research (PMR), the global micronized salt market is poised to clock a promising CAGR of 3.6% by the end of 2028. A plethora of factors are expected to contribute to the growing size of the micronized salt market, which is estimated to surpass the valuation of US$ 3,305.8 Mn through 2028. A large share of revenue for the micronized salt market is attributed to the bakery and confectionery products, owing to the extensive utilization of micronized salt for the preparation of baked goods, snacks, bread, and similar other products. Another major chunk of revenue to the global micronized salt market can be accredited to the rising demand for preserved and processed meat products. Micronized salt with its property to extend the shelf life of food products finds its application in processed food and beverage industry. In addition to this, demand for micronized salt has also been rising for myriads of household applications, which is yet another strong growth driver for the micronized salt market. According to the U.S. Center for Diseases Prevention & Control, the daily average intake of salt among Americans is 3,400 mg, wherein the daily permissible limit of salt consumption is 2,300 mg. Increasing health consciousness among the consumers has encouraged them to control their salt consumption, in order to prevent sedentary diseases, which is boosting the demand for salt replacers. Manufacturers have been pacing rapidly towards implementing novel technology to remove bitter taste of the potassium salt by leveraging L-lysine and bitterness blockers, which is expected to fuel the rate of adoption of these salt alternatives, thereby, posing challenge to the growth of the global micronized salt market. Additionally, a broad spectrum of micronized alternatives and its high cost is also a potent factor to negatively impact the micronized salt market. Depending on the grade, the micronized salt market has been bifurcated into purity above 99.5% and purity between 98% and 99.5%. On the whole, the high purity (above 99.5%) segment is expected to draw a sizeable amount of revenue to the global micronized salt market. Based on the end use applications, the micronized salt market is segmented into canned or preserved fruits and vegetables, beverages, milk and dairy products, meat, sea foods and poultry, and bakery and confectionery products. Increasing demand for micronized salt can be attributed to the perpetually growing demand for bakery products such as bread, baked goods, and snacks. Among the other regions of the world, North America remains a dominant region for the growth of micronized salt market. There has been a robust demand for processed and preserved meat products, which further requires longer shelf life. As a result, micronized salt remains an ideal solution for the preservation of a wide category of food and beverages. Globally, North America and Western Europe accounted for over 40.3% of market share in 2017. The market study on micronized salt profiled some leading players which include K+S Aktiengesellschaft, Tata Chemicals Ltd., Ciech S.A., AkzoNobel N.V., Dominion Salt Limited, INEOS Group Limited, AB Hanson and Mohring, Cheetham Salt Limited, Kensalt Ltd., Cerebos Ltd., ACI Limited, Infosa, WA Salt Group, Zoutman NV, Nirma Limited, BGR International Ltd., Australian Saltworks, Suedwestdeutsche Salzwerke AG, China Salt Jintan Co., Ltd., GHCL Ltd., Cargill Inc., Marico Limited, Keya Foods, and Kutch Brine Chem Industries, among others. A detailed analysis for each of these players has been incorporated in this report, along with their business strategy, revenue size, key trends, and recent developments in the micronized salt market.